Having an Aadhaar Card is very important for Indians as the Aadhaar is considered as the most important official document introduced by the Government. Recently, the Government of India has made Aadhaar mandatory to link with every important official document and other Government Schemes and Services such while opening a Bank Account or linking your bank accounts or in Income Tax Filing or Aadhaar Linking with the SIM Cards. An Aadhaar Card carries many important details of a person such as the fingerprints, Iris Details, and other information. The Supreme Court has made it mandatory to link Aadhaar with PAN Card for Income Tax Filing, the court made its decision on 6th February 2019. Your Income Tax Return will not process until you link your Aadhaar Card with Permanent Account Number (PAN). So, if you are carrying a bank transaction of Rs 50, 000, then it is mandatory to link Aadhaar ID with PAN. The deadline date of linking your PAN with Aadhaar is 31st March 2019. The Government has announced that the Aadhaar Card should be linked with PAN Cards by the end of 31st March, 2019. A PAN is otherwise called as Permanent Account Number (PAN) card. It is a 10-digit unique character code performs various transactions. The PAN Card is issued to all the tax paying entities in India. It is issued by the Income Tax Department, the card links all the transactions that attract the tax under a single source, making it convenient for the Government to keep a track of the record. You can file for Income Tax Returns using the PAN Card. It also serves as an Identity and Age-Proof as well as Address Proof. In this article, we will be discussing the various procedures to link Aadhaar with the PAN Card and its Importance and much more. The Income Tax Department has declared that the taxpayers can link their PAN Cards with the Aadhaar Card through SMS. Send SMS to 567678 or 56161 in the following format. The Department issued the formats in different newspapers as Ads across the country and explained how both the Unique Identity Numbers can be linked just by sending an SMS. People can also visit the Official e-Filing website(incometaxindiaefiling.gov.in) of the Income Tax Department to seed both the documents. Linking these two documents can help you to get the tax facilities available online. For Linking a PAN Card with an Aadhaar Card, the taxpayers have to register on the Income Tax e-Filing Portal first. Once you have completed the registration process, follow the below steps for further procedure. Log in to the e-Filing Portal of the Income Tax Department by entering the User ID and Password and the Date of Birth. Register yourself. The PAN Card will be your User ID. After logging in the site, using your User ID, Password and Date of Birth, a Pop-up window appears prompting you to link your Aadhaar with the PAN Card. Details such as Name, Date of Birth and Gender will be already mentioned as per the details that are submitted during the time of the registration on the e-Filing Portal. Enter the 12-digit Aadhaar Number as well. The details that are displayed on the screen (Aadhaar card) is then verified. Enter the Captcha Code displayed and click on “Link Aadhaar”. If the details match, then enter your Aadhaar number and click on the “Link Now” button. A Pop-up message denotes that your Aadhaar ID is now linked with PAN Card. 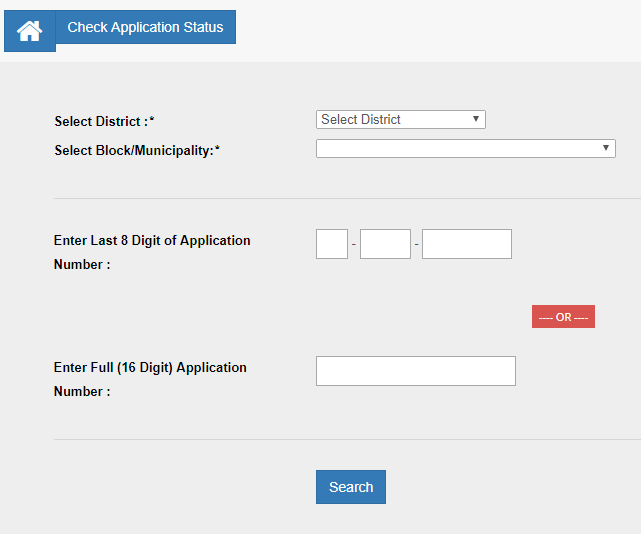 The Aadhaar number can also be fed in the PAN Database during the new PAN Allotment. 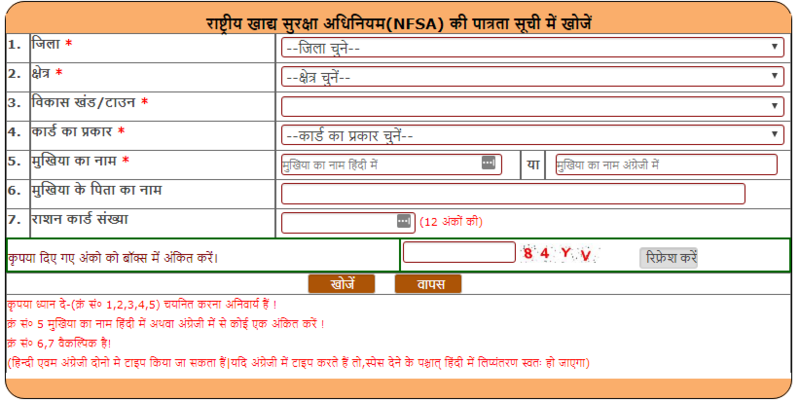 You can feed your Aadhaar number in the PAN Application. Once the UIDAI verifies the information, the linking will be completed. The individuals will receive an OTP from the registered Aadhaar Database on their registered mobile number. Enter the OTP and your Aadhaar Card will get linked with the PAN Card. Both the PAN Cards as well as the Aadhaar Card serves as the Identity Proof which is necessary for the registration and verification purposes. By linking the Aadhaar Card with the PAN Card the Government will be able to keep the record of the taxable transactions of a particular individual or entity, whose identity and address will be verified from his/her Aadhaar card. Linking a PAN Card with an Aadhaar will reduce the occurrence of the individuals who are applying for a multiple number of PAN Cards. This will also lead to stop defrauding the Government and avoid paying taxes. By linking the Aadhaar with the PAN Card, the Government will be able to link the Identity of an entity through his/her Aadhaar card and will have the details of the Financial Transactions made through the linked PAN Card. If there are a multiple number of PAN Cards registered under the same name then the Government will be able to identify them and will take serious decisions to correct them. The entities who have linked their Aadhaar with the PAN Card will be able to file their e-Returns Online quickly. Linking your identity numbers will skip the step of submitting the Income Tax Acknowledgement to the IT Department. Doing this will reduce the risk of messing up the process. The Income Tax Department has launched an online correction facility for correcting the names and other information present in the Aadhaar document and PAN Card. 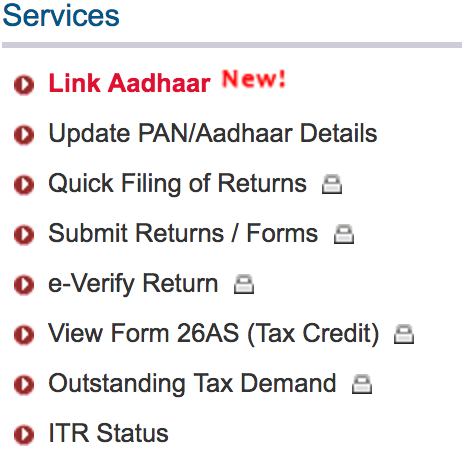 They have introduced two hyperlinks on the official website for e-filing tax. One link redirects to the application page for the Permanent Account Number and the other link redirects you to the page where you can update all the necessary changes. If you want to update any Aadhaar details, then you can simply log on to the Aadhaar SSUP (Self- service Update Portal). Yes, it is necessary to get an Aadhaar card, as the Government has made the Aadhaar card compulsory. You will be receiving various benefits in different Government Schemes. So it is advisable to link your Aadhaar card with the PAN Card. Do the NRIs in India have to link their PAN Card as well? The requirement of allocating Aadhaar with the PAN card came into an effect from 1st of July 2017. The Non-Indian Resident Indians do not have to link their PAN Cards with Aadhaar. Is it mandatory to create an account on the department website? No, it is not necessary to create an account on the Department website. There is a direct link available where you can link your Aadhaar with the PAN Card easily. How long does the OTP be valid that is sent by the Aadhaar Database? The One Time Password is valid only for 15 minutes. You can stay connected with UIDAI helpdesk by sending the e-mail at authsupport@uidai.gov.in or you can contact the toll-free number which is 1800- 300-1947. Can Aadhaar Card be de-linked? No, there is no option to d-link your Aadhaar card once it has been updated on the e-filling page. Is it necessary to submit any Documentary Proof to Link PAN with Aadhaar? No, you are not required to submit any documents while linking your PAN Card with Aadhaar. You just have to check whether the PAN information mentioned on the website matches your Aadhaar card. What are the details that need to get checked while linking the PAN with Aadhaar? While linking your PAN with the Aadhaar, make sure that your Name, Date of Birth and Gender displayed on the Income Tax website tallies the details mentioned on your Aadhaar Card.